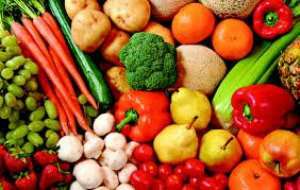 Abuja Stakeholders, following resolutions from the recently concluded conference and workshop on seeds, foods and bio-safety in Nigeria have rejected the call for the genetic modification of indigenous foods in Nigeria. The stakeholders’ Conference on Seeds, Food and Bio-safety, hosted by the Health of Mother Earth Foundation (HOMEF) brought over 100 stakeholders drawn from representatives of various organisations including the Alliance for Food Sovereignty in Africa (AFSA), Heinrich Boll Stiftung Foundation, Cassava Growers Association of Nigeria, Women in Agriculture, Association of Small Scale Agro Producers in Nigeria (ASSAPIN) and Youth Voyage of Nigeria (YVN) among others. The conference looked into concerns and defined a sustainable course for Nigeria with regards to seed laws, agricultural productivity and food sovereignty, noting that the state of biosafety in Nigeria requires critical interrogations as concerns mount up about the implications of modern agricultural biotechnology. Adding that the concerns are further increased as Nigeria begins move to sign into the International Union for the Protection of New Varieties of Plants (UPOV). In their demands, the stakeholders said Genetic modification of food crops is not needed in Nigeria noting that the challenges of food production in Nigeria lie outside the realm of supposed solutions offered by genetic engineering. “What is needed is adequate support for farmers in terms of extension services, credit schemes, storage and processing facilities to reduce wastage, good roads to access markets, and increased access to agricultural land for increased productivity and food security” they said. The Stakeholders also rejected colonialism and neo-colonialism through the use of modern agricultural biotechnology and called for the urgent review of the nation’s current regulatory frameworks as well as the amendment of the National Agricultural Seed Council Law to ensure that seed breeders ensure full disclosure of information relating to improved varieties as well as harmonization and empowerment to sustain indigenous varieties. Other recommendations by the stakeholders include that the National Biosafety Management Agency (NBMA) must be held accountable to carry out their regulatory duties thoroughly, that they should enforce the preservation of natural and indigenous food system of Nigeria, further noting that the combination of GMOs and a loosely unregulated biosafety landscape will constitute great environmental harm and will intensify poverty, hunger and a devastation of consumer rights. They further urged that Agricultural research institutions should be well funded by the government to produce wholesome foods and proffer sustainable, consumer friendly solutions to challenges of agricultural productivity and stressed the need for rigorous training for small scale farmers on the implications of modern biotechnology, seed treaties and the threat to farmers’ rights. Information and terminologies on genetic engineering technology and seeds issues should be simplified to aid thorough understanding. Other recommendations include the need to supervise seed extension villages where seed saving, research, seed exchange/sharing will be facilitated, carrying farmers along in the formulation of policies and legislations concerning agricultural seeds and systems, stronger engagements among all stakeholders including the Ministry of Health, Ministry of Agriculture and the National Agricultural Council on the implications of joining UPOV.